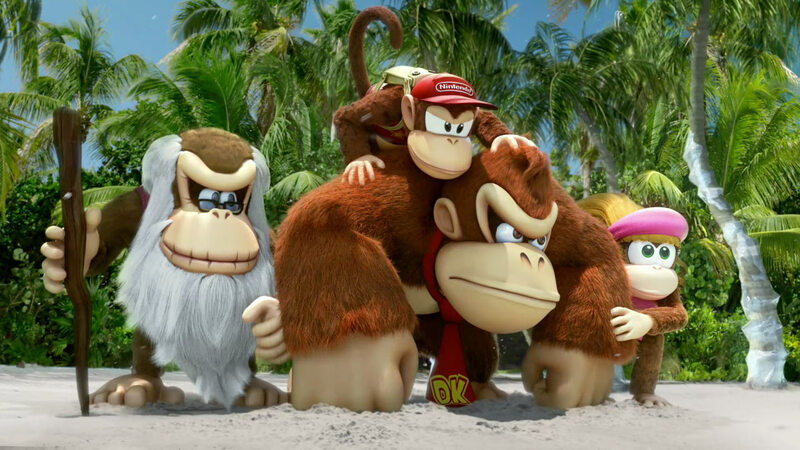 Mill+ and Leo Burnett Chicago joined forces on this spot for Nintendo in anticipation of 'Donkey Kong Country: Tropical Freeze,' the newest addition to the Wii U's line of re-imagined classic games. If you were born in the eighties or prior, this is like a dream come true! The game features Donkey Kong along with Diddy Kong, Dixie and Kranky Kong battling to protect their island home from an icy invasion, and fish-flinging viking penguins. To create the scene for the spot, Directors Angus Kneale and Christopher Palazzo traveled to the Florida Keys for a 2 week shoot. Life-size Donkey characters were printed, placed on the beach for reference and used for live-action rehearsal - and were quite the sight! Angus Kneale on the spot "I used to play Donkey Kong when I was young, and it was very important to me that we keep the spot playful, energetic, and most importantly, that it paid an homage to the original game." The Mill's 2D and 3D teams brought the iconic Nintendo characters into the live environment. 2D lead, Antoine Douadi said "What made this interesting was the amount of interaction between the real elements, computer generated particles like sand, and the amazingly animated characters."